In an attempt to discourage illegal parkers from utilizing parking spaces otherwise available to permit holders, we enforce all parking zones. Enforcing the parking lots increases the chances of finding a parking space for those that pay for and properly display a valid UM parking permit. Violators of the university's Parking Policies and Procedures (Revised March 2018) will receive a parking citation. Parking citations may be appealed online for Visitor’s, Students, Faculty and Staff. Appeals must be submitted within 15 calendar days of issuance of the citation. Once the appeal is submitted and processed, the appellant is not required to take any further action until the appeal is judged and a decision is issued. The appellant will be notified of the decision via e-mail. Judgment decisions are usually issued within 6-8 weeks from receipt of the appeal. Following the initial appeal decision, a second level appeal may be requested. This second level appeal must be submitted online or in person within 15 calendar days from the issuance of the initial appeal decision. The citation must be paid in full before the second level appeal may be submitted. If the appeal is successful, the citation payment will be refunded. 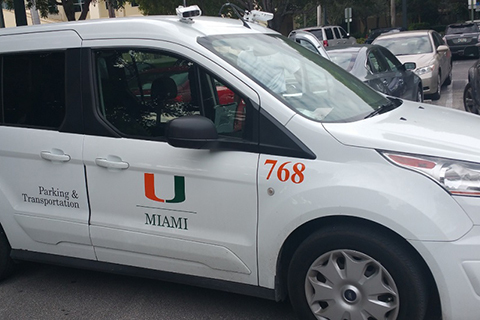 In accordance with the Parking Policies and Procedures, parking privileges are extended to those members of the University community who paid for a current and valid University of Miami parking permit. Non-Compliance with this policy is a violation and may result in the issuance of a citation. I was late for business, or a personal appointment. Being late does not allow the driver the privilege of parking illegally. There was no place else to park. The lot was full. It is the driver’s responsibility to locate legal parking. I was only parked for a few minutes. A short stay does not mitigate the violation, and it does not allow the driver the privilege of parking illegally. Nobody else around me got a ticket! Vehicles that are seen in violation of parking rules are cited. The fact that a given vehicle may not be cited is not permission for another to violate policy. This violation has not been enforced in the past. Prior lack of enforcement in no way constitutes a valid excuse for illegal parking. I have done it for years. Everybody does it. This is not an acceptable excuse for illegal parking. I did not see the citation on my vehicle. This is not a valid excuse for a violation dismissal. Citations are considered legally delivered when placed on the vehicle windshield.